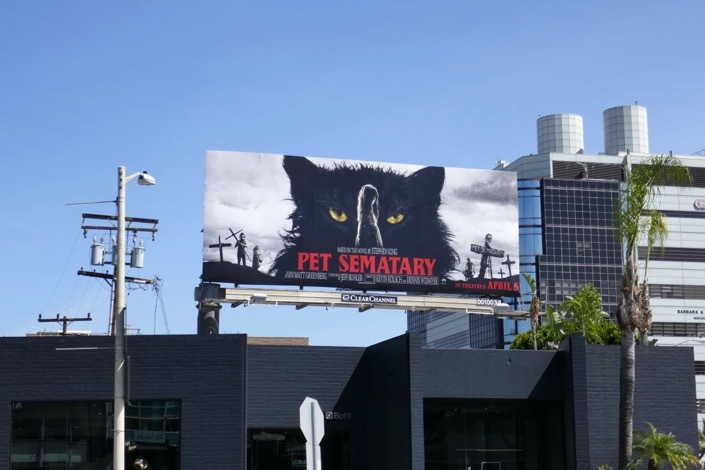 In recent years Stephen King's iconic Carrie and It stories have been remade for the big screen and now it's the turn of Pet Sematary to get a shiny new Hollywood retelling. 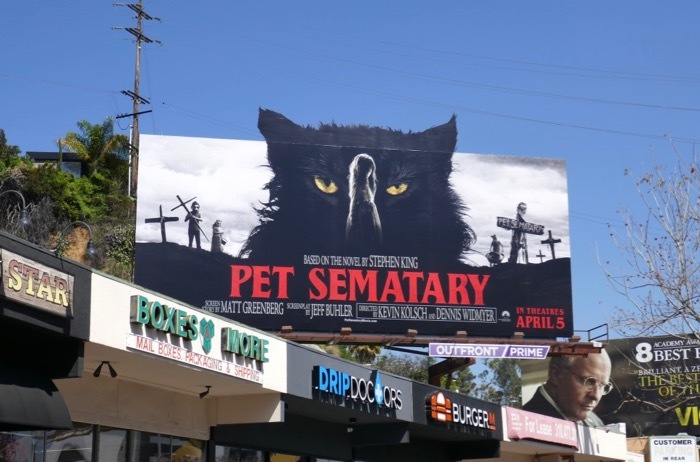 The 1983 supernatural horror novel was first made into a film in 1989 and this second adaptation follows a similar story following Jason Clarke's 'Dr. Louis Creed' and his wife, 'Rachel' (Amy Seimetz), who relocate from Boston to Maine for a new job with their two young kids. 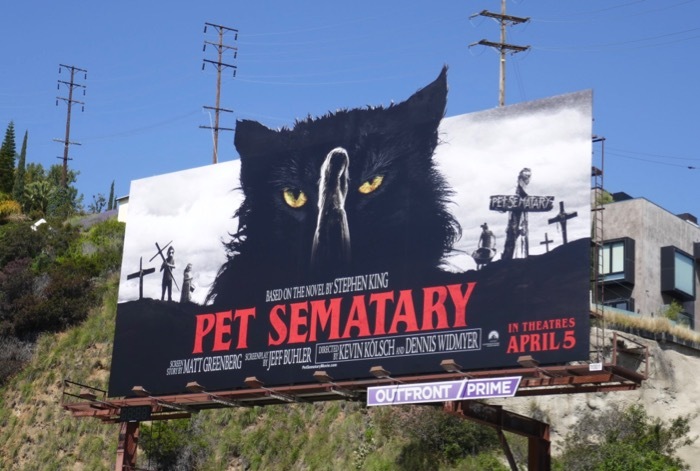 Things start to get spooky when they discover a mysterious burial ground hidden deep in the eerie woods near their new rural home, where neighbouring kids go to bury their dead pets (hence the misspelling). 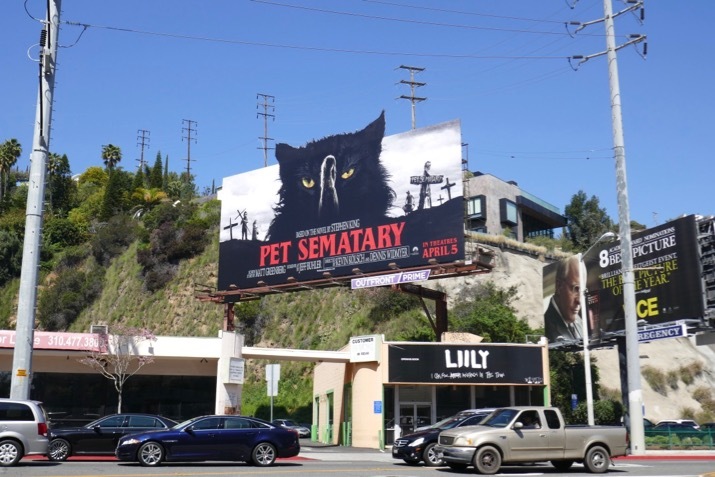 When their family cat is killed on a busy road next to their house, it turns out some animals don't stay buried for long. 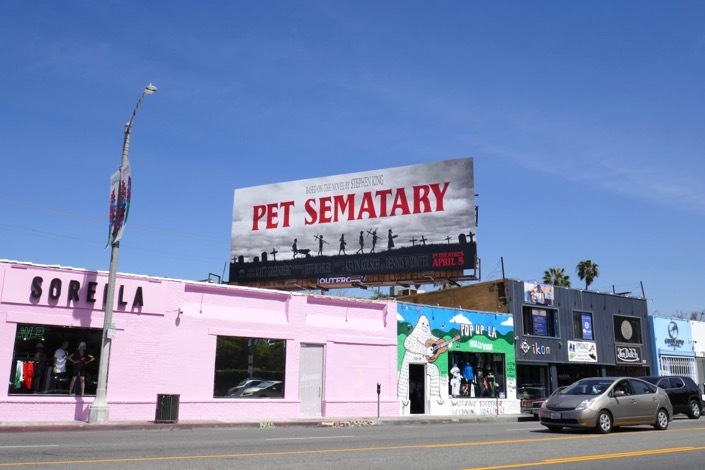 These creepy movie billboards were photographed haunting the skies along the Sunset Strip, Melrose Avenue and Beverly Boulevard from March 18 to March 29, 2019. 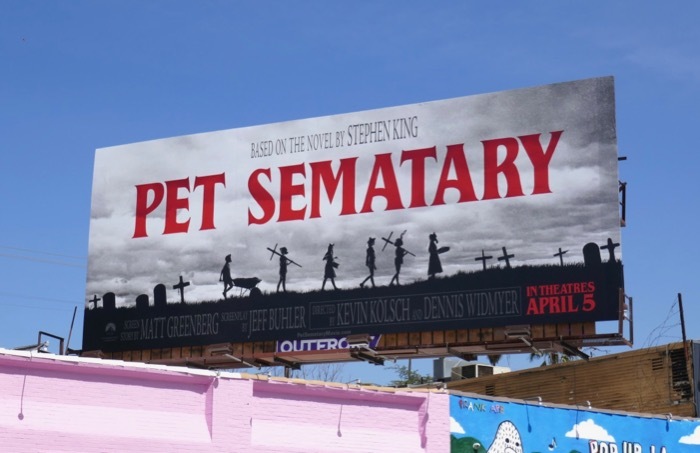 Stephen King aficionados can also enjoy these outdoor ads for some of his other film and television adaptations, including these Carrie remake billboards, these It movie billboards, these Castle Rock billboards, these Mr. Mercedes billboards and these billboards for The Mist TV series, to name but a few. 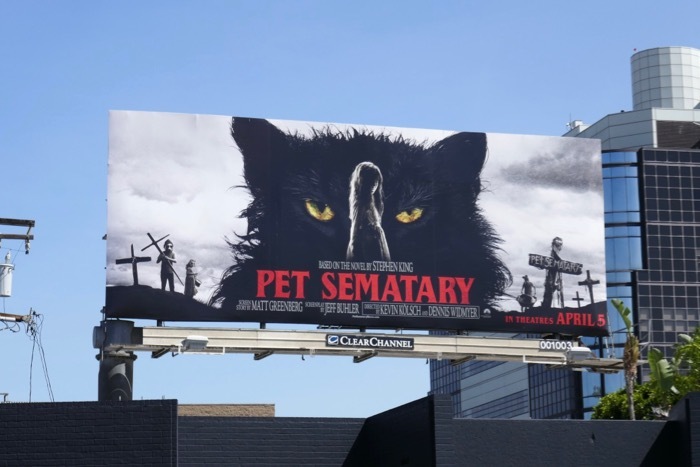 Some remakes prove to be real duds, whilst others turn out too be global box office smashes, so let's see what this new interpretation of Pet Sematary will scare up.